Hey High 5-ers! Summer is here at High 5 Casino and we need to share these amazing High 5 Moments from June with you! June started off with H5C’s Memories with Dad Contest, where we invited High 5-ers to tell us about their favorite memories with their dad. Over a thousand entries were submitted and we selected 100 lucky winners to receive 200K coins! High 5 Casino released four new games: Center of My Universe, Jaguar Princess 2, Moonlight Rainbow, and Photographing Fairies. Top 5 most played games for June: Serengeti Nights, Center of My Universe, Moonlight Rainbow, Hoot Loot, and Jaguar Princess! Which game gave you your High 5 Moment in June? Did you place in the Top 100 players in Photographing Fairies or Moonlight Rainbow? Comment in the conversation bubble located on the top right corner of your screen and let us know! 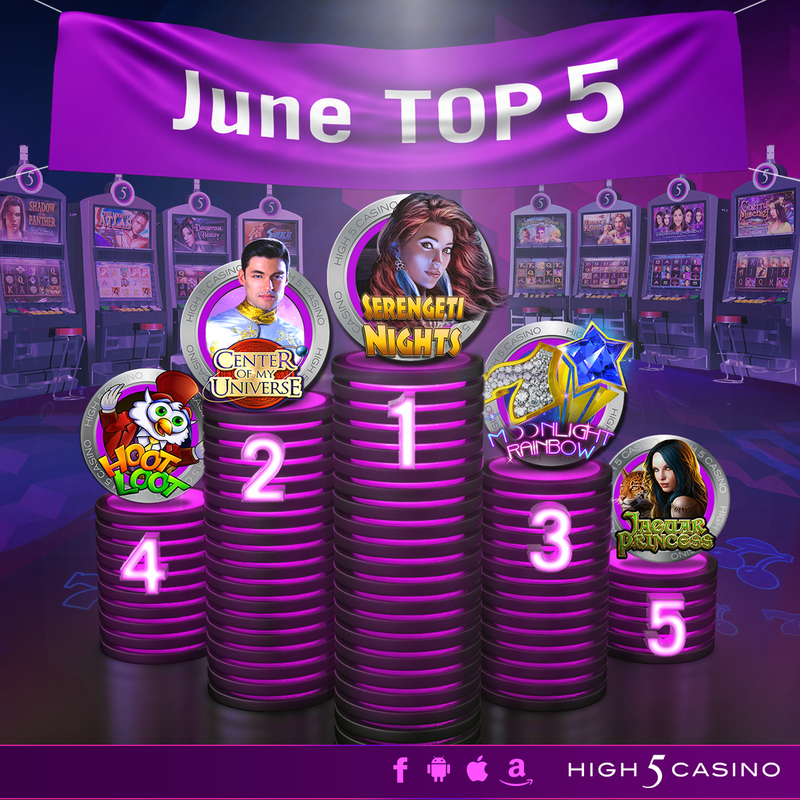 This entry was posted in H5C Stats, High 5 Casino, High 5 Games, High 5 Moments, statistics, top games and tagged Android, App Store, Apple, Center of My Universe, Facebook, Game Spotlight, Google Play Store, H5C June Stats, High 5 Casino, High 5 Casino Mobile, High 5 Games, Hoot Loot, iOS, iPads, iPhone, iPhones, Jaguar Princess, June, mobile gaming, Moonlight Rainbow, Player Spotlight, Serengeti Nights, slots, social gaming, statistics by hoothigh5. Bookmark the permalink.